Happy Halloween everyone! Tallyrand this week has decided to give you a recipe for that delectable of desserts - pumpkin pie. Now those American visitors to this website will know how to make this already, but those non US residents out there, might have only ever seen it in the movies, on TV etc. I really was torn this week for what recipe to post as today, Saturday 28th October, marks the birthday of the greatest of chefs, the master himself, Auguste Escoffier, born in 1846 in Villeneuve, France. But I am sure even he would be happy with this dessert, so I have named this recipe after him and in my making of it used only freshly ground spices. If you can grind or grate your own spices for any recipe, it is so worth it. They give such a richness and depth of flavour, if I need a spice mix for Indian dishes etc I use an old electric coffee grinder! But be careful you don't get it confused . . . or you will end up with some weird tasting coffees! If you are unsure about blind baking pastry cases or want to know why, how etc then check out my cooking tips section this week. Where you will also find a quick (and they don't come any easier) recipe for a pastry . . . two recipes for the price of one this week? Its Hub-UK's and Tallyrand's Halloween special to you! Happy birthday Escoffier and Happy haunting everyone!!!! Most often associated with lanterns at Hallowe'en, pumpkins have a sweet, honey flavour and they are especially popular in North America. 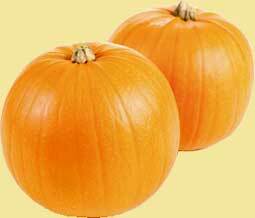 When choosing a pumpkin, it should have a smooth skin and be firm to the touch. Smaller pumpkins contain more flesh and are best for eating. Pumpkin is an excellent source of antioxidant beta-carotene, has useful amounts of vitamins B1, C and E. It is also a good source of the phytochemical lutein. Serve pumpkin pie chilled or at room temperature with lashings of whipped cream and a little raspberry puree. Enjoy your pumpkin pie and bon appetit . . . . .